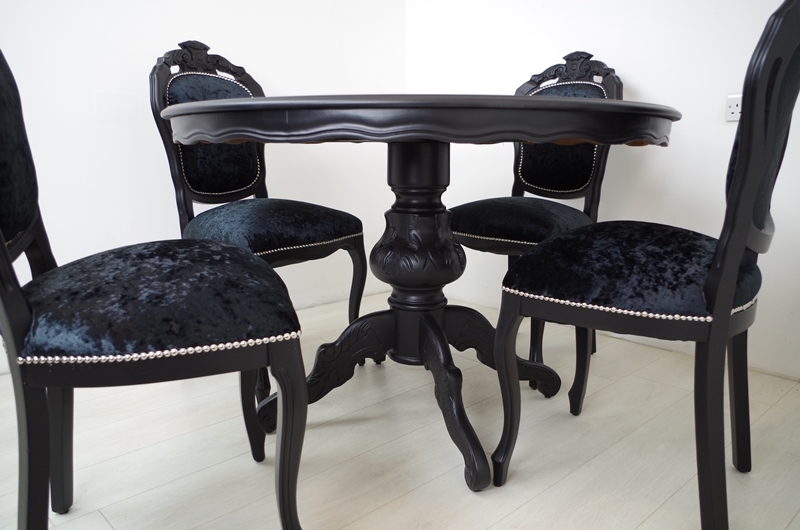 Our lovely client Lavinia asked us to source and refinish this dining set to match in with her new decor. 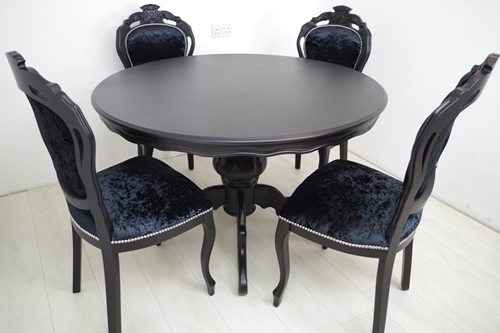 After necessary repairs and thorough preparation, we spray painted the table and chairs; firstly with a coat of shellac base primer, then two coats of water based acrylic resin undercoat in dark grey. 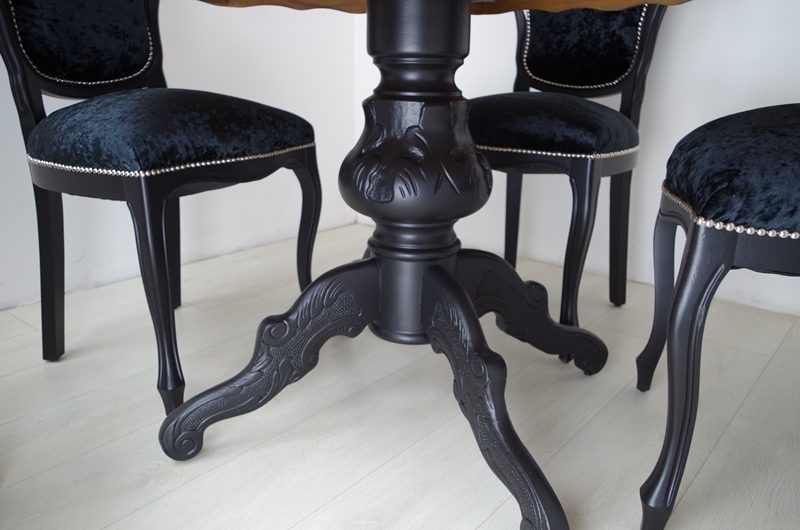 We followed this with two coats of water based acrylic topcoat in Black. We then applied two coats of water based matt varnish which gave a 'softer' look to the black. The table top had six coats of topcoat and five in matt varnish to achieve the effect we were looking for. All the woodwork was carnauba waxed to give a soft silky feel. 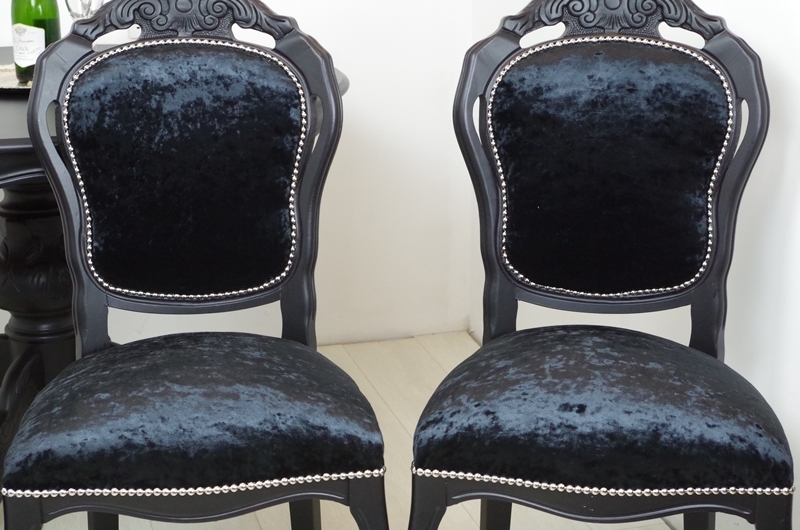 The foam on the chairs and springing were in good condition; we added fire retardant wadding to provide additional padding. 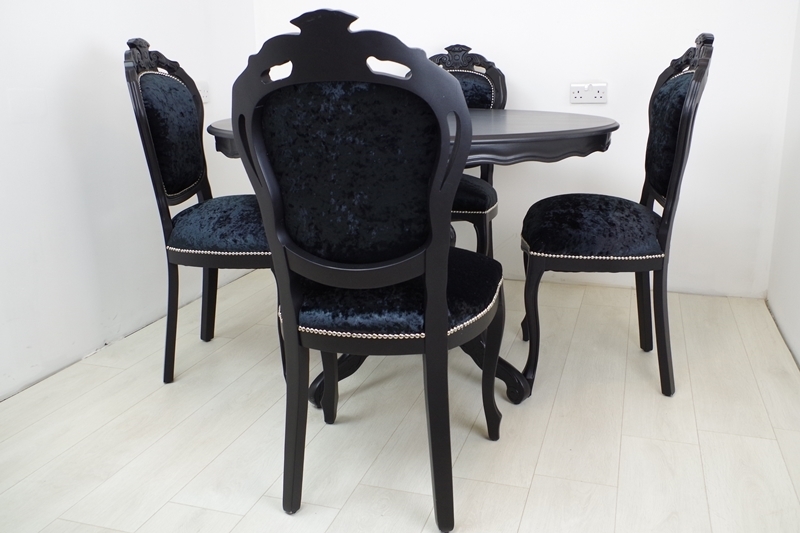 We chose luxury crushed black velvet for the upholstery as we knew it would maintain its looks after daily use. We trimmed it with a silver stud trim. The fabric was scotchguard protected. 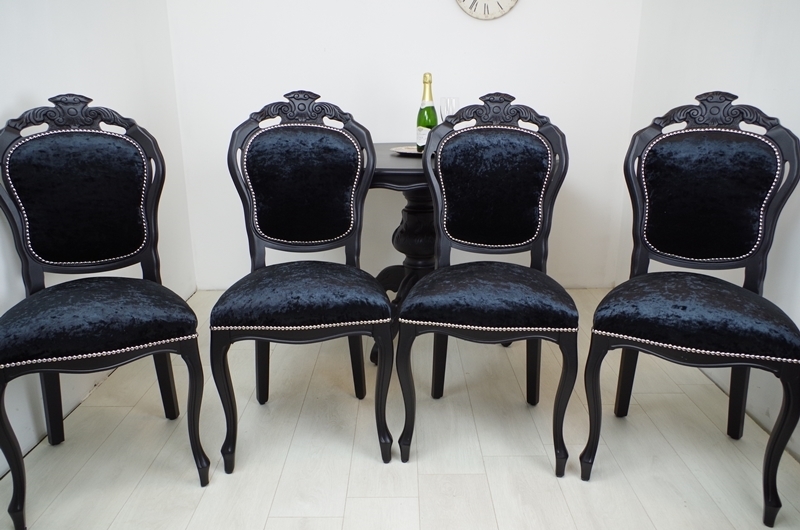 When we delivered the set to Lavinia's home, we saw it was the perfect choice and match for her setting. She was over the moon with the result.